I’ve just learned about an online exhibition on German Expressionisst cinema, which was published by BiFi (La Bibliothèque du film) towards the end of 2006. The exhibition is entitled Le Cinéma Expressionniste Allemand, so yes it’s in French, but I encourage you to look even if you’re not able to read much. 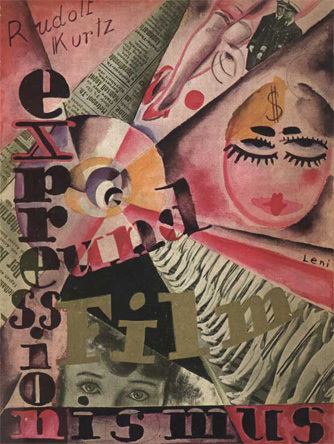 The exhibition was put together by regular Bioscopist Frank Kessler, of Utrecht university, and it examines the idea of Expressionism as it found expression in German cinema of the 1920s, and as it was interpreted subsequently by critics. The exhibition is in two main parts: Exposition – which takes us through the history, the ideas, their realisation, and their critical exegesis; and Les repères documentaires, which proides supporting information and documentation, including a filmography, bibliography, a text by Laurent Mannoni on film historian-critic Lotte Eisner (author of The Haunted Screen), links and a glossary for such terms as Cubisme, Futurisme and ‘Caligarisme’. It is handsomely illustrated with stills and documents, and is well-laid out and easy to navigate. Well worth investigating.